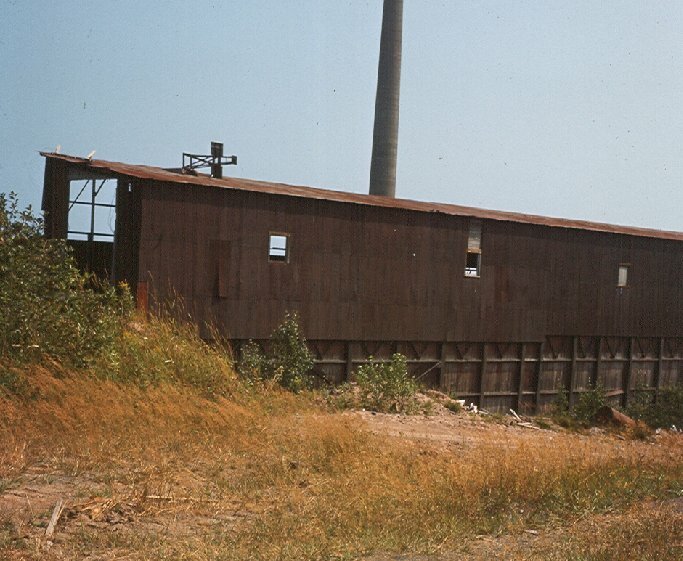 After 65 years of constant pounding, Champion Copper Company's Mill in Freda is quiet here in 1970, sitting half demolished. The silence broken only by the swing of the wrecking crane on the old Steel frame put here in 1902 by the Wisconsin Bridge and Foundry Company. 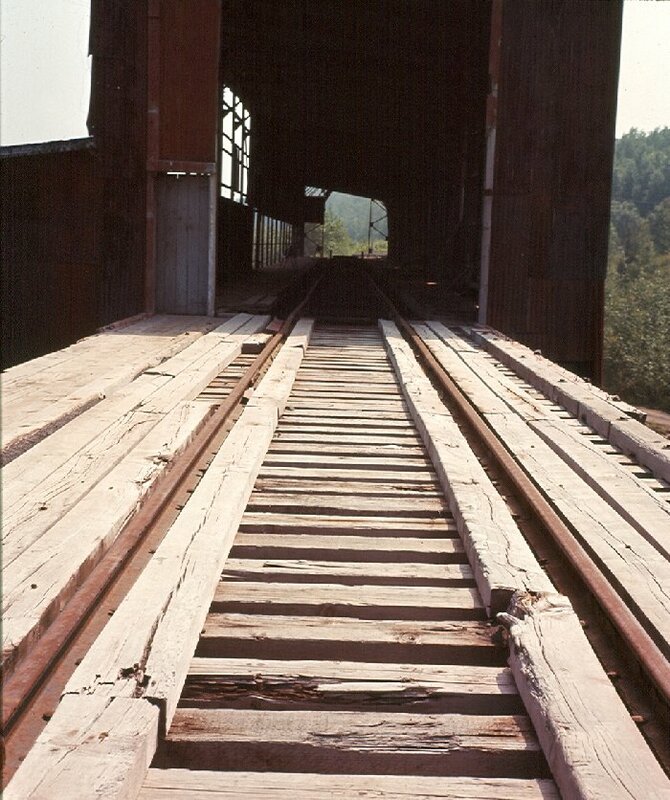 In the summer of 1970, three years after the mill closed for good, Greg Bunce and his brother drove out to Freda to capture this view along with a few others he has shared with us. Taking these photos with his dad's Rolleiflex camera using Ektachrome slide film he captures the final dismantling of the mill. 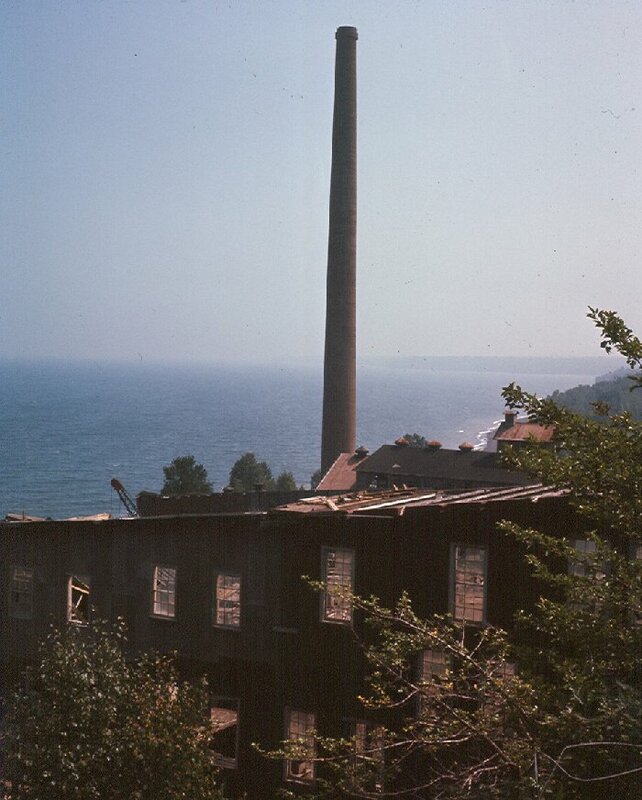 The dismantling of the mill was first contracted to the Hyman-Michaels Company of Chicago in 1968 and shortly thereafter it was taken over by a local man, Clarence Durocher who worked into the early 1970's completing the task. 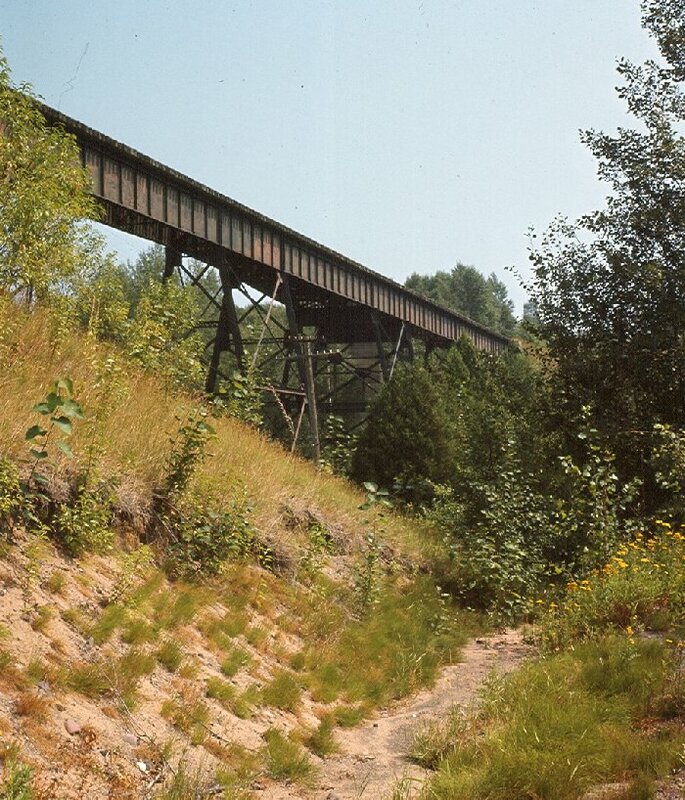 The tracks from Mill Mine Junction to Freda were taken up in 1971. Thanks for sharing these with us Greg. 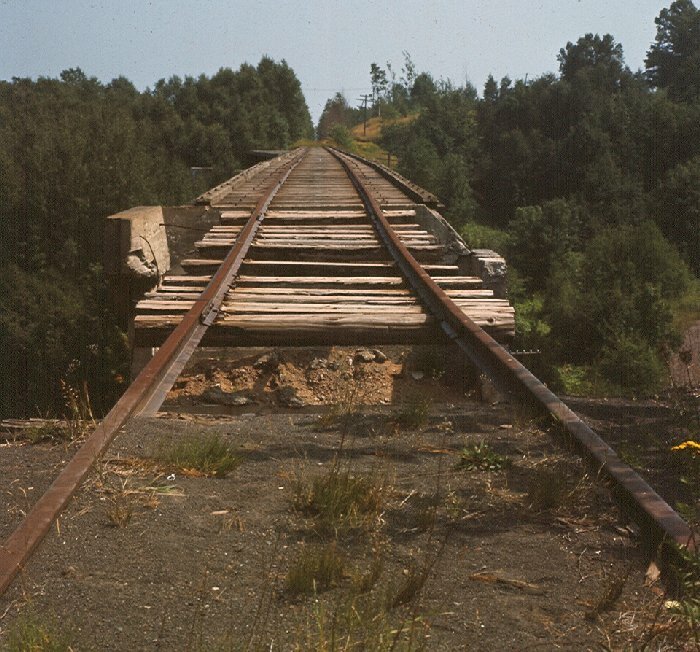 Copper Range Bridge #41 between Edgemere Junction and Beacon Hill on the CR Lakeshore branch.